HMD Global officially launched the iconic Nokia 3310 in India earlier this week. Priced at Rs 3,310, the mobile phone will be going on sale today via offline stores across the country. HMD Global has not yet revealed plans to make the device available online. Reports however suggest that after offline sales pick up pace, the Nokia 3310 will be eventually made available via e-commerce sites like Flipkart or Amazon India. Talking about the design of the phone, it sports a refreshed design when compared to the old Nokia 3310. It features a plastic body with a matte finish, and is available in multiple color options. The device is also small enough to easily fit into one’s pockets. 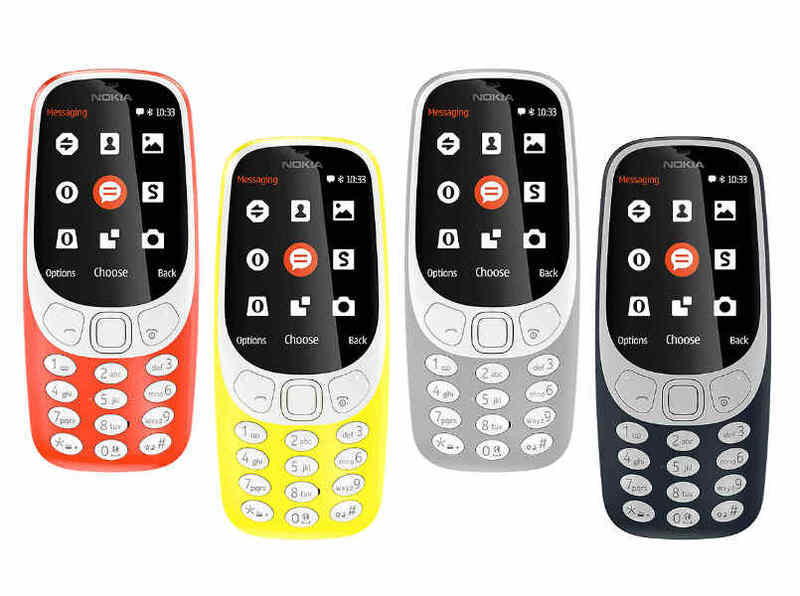 Unlike the original Nokia 3310, the modern rendition comes with a color screen, and the iconic Snake game too has been given a modern touch. In terms of specifications, Nokia 3310 comes with a 2.4-inch QVGA display. It runs on Nokia Series 30 platform with 16MB internal storage, which can be expandable up to 32GB. Nokia 3310 sports a 2-megapixel rear camera with LED flash. It supports 2G connectivity, dual-SIM card slots, 3.5mm audio jack, a built-in MP3 player and FM Radio. The phone is also armed with a 1,200mAh battery, which the company claims is good enough to offer a standby time of up to a month and talktime of up to 22.1 hours.